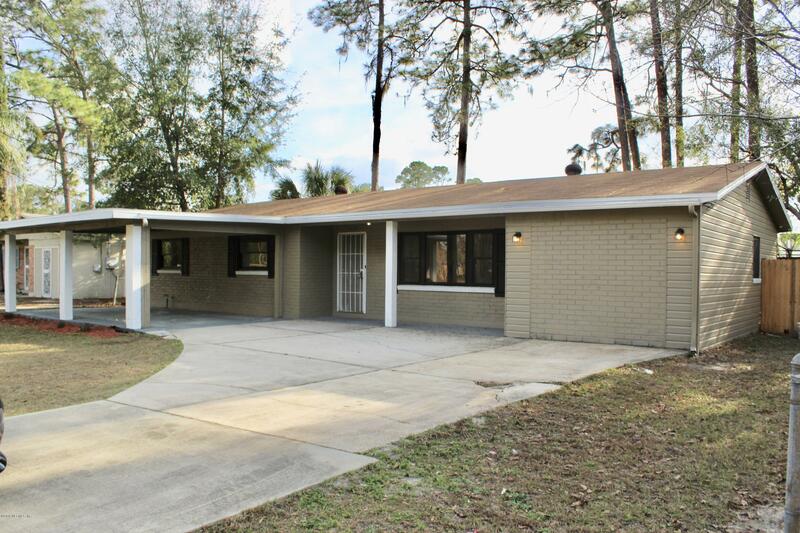 Beautifully Renovated 3/2 home Nestled on a beautiful lot . This home has a new AC UNIT, Fresh Paint, New Appliances, Gorgeous New Bathrooms, New Fixtures, New Laminate Wood Floors and Tile throughout . Fresh Paint on the exterior, New Fencing, Large Bedrooms and Indoor laundry area ! This home is a must see and Priced to sell !